An Indian Smartphone company Vivo ahs released its new mobile teaser named Vivo V15 pro. The teaser video shows that the phone will have a pop-up selfie camera along with a triple camera set up at the back with artificial intelligence (AI) support. The company’s brand ambassador Amir Khan is shown in the 18 second video using the phone. 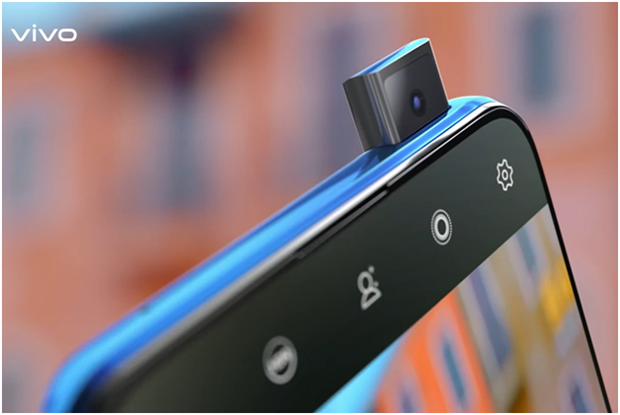 The major upgrade of the phone is a 32 MP pop-up selfie camera from the Vivo Nex's 8-megapixel sensor. Vivo Nex was the first Smartphone of the company with a pop-up selfie camera released in July last year worth 44,950. We can see that the Vivo V15 pro is a blue color phone with gradient back panel design. The company is set to launch more colors at the launch ceremony which is scheduled on February 20th in India. Vivo’s upcoming Smartphone was listed by the Geek Benchmark Company. According to the company, the phone will work on a 675 QUALCOMM processor. Not only this, the phone will run on an android pie operating system. The Smartphone scored 2382 and 6479 in single-core and multi-core tests. The rumors about the Smartphone suggest that the phone will come with a fingerprint sensor under display. It will also come up with a 6 GB RAM and 128 GB internal storage. Not only will this but the phone also contain an AMOLED panel display. The triple rear camera setup of Vivo V15 pro may consists of 48-megapixel, 8-megapixel and 5-megapixel camera sensors. It has a large battery capacity and large display. Vivo V15 pro is said to be the successor of Vivo V11 pro which was released last year at a price of 25,990.